I’m not sure when it started, but somewhere along the way I adopted it as one of my email closings. Each time I sign off on an email, I remember to take time for the little things and to not rush through the mundane. 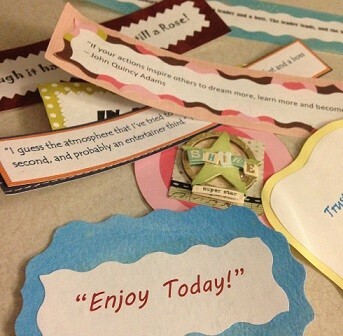 Enjoyment is the “state or process of taking pleasure in something.” Enjoyment is a choice. There are bills to be paid, miles to run, meetings to attend, little mouths to feed, material to learn, commitments to uphold. In and of themselves, these daily activities can be routine and even cumbersome. If we get caught thinking about what we would rather engage in, or future plans, the beauty of the moment will go unnoticed. Today’s Challenge: When you find yourself bored or frustrated, throw some creativity into your situation to make it more enjoyable. Season the moment with awe or laughter and it might not be so bad! At 26 years old, my life was already quite an unexpected adventure, as I believe holds true for so many of us. 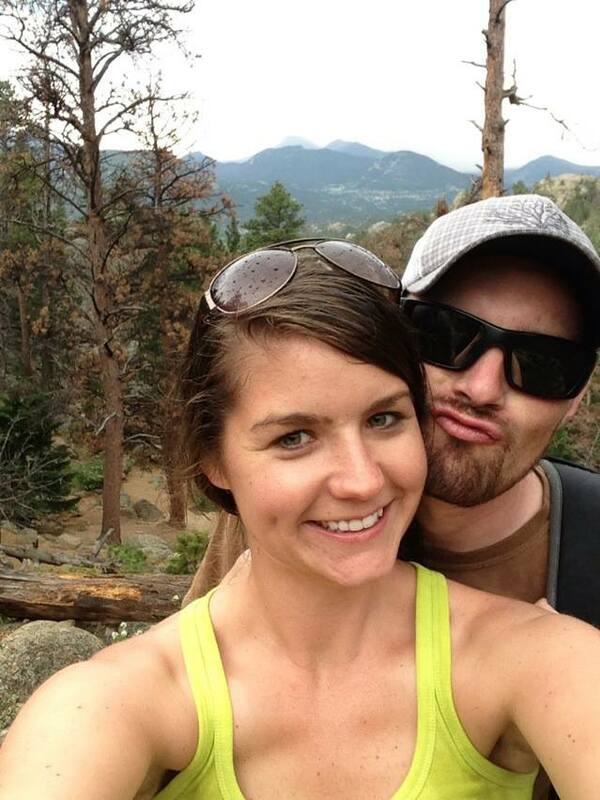 In 2006, I graduated from Colorado State with a degree in Health and Exercise Science. Taking a few turns along the way, I moved from Personal Training to becoming a Medical Assistant to an Orthopaedic Surgeon. At the recommendation of a close friend, I landed at OtterBox in the Summer of 2010 and was exposed to more about business, management, and customer service than I could ever learn in a classroom. The company was growing at an unprecedented rate and I was both along for the ride and excited for the challenge. The first year was a whirlwind. My original role quickly expanded and at my one-year mark, I was managing a team of three and we were ready to take on the world. OtterBox employees were eligible to participate in a LifePlan following one year of employment. There couldn’t have been a better time for me to engage. Sitting across the table from Laura, my LifePlan Facilitator, I shared with her what I believed to be my “Four Helpful Lists”: What’s Right, What’s Wrong, What’s Confused, What’s Missing. Looking back on the original email I sent to her, so much has changed over the last few years. As a single person, I desired a teammate and family. New to management, I was trying to navigate my personal career growth. With my background in health, I was struggling to swallow the number on the scale. In it all, I knew that it would require my relationship with Christ to be intact. We moved from breakfast to Laura’s parents’ home, where we went straight to work on a number of exercises that started to paint a picture of where I have come from and where I am going. Taking time to concentrate on life domains of personal, family, vocational, church, and community, it was becoming clear: THIS is who I am created to be!!! Wrapping up on the second day, tears of joy were streaming down my face. I sensed the Lord working through this process to reveal truth in my life. Since completing my LifePlan with Laura, it has been instrumental in my personal growth, by seeing the bigger picture of God’s plan. Little did I know that the medical training I encountered in school and working for a surgeon would translate into my marriage to a Medical Student who is fascinated with surgery. . . but God knew. I have continued to place an emphasis on fitness and am in better physical condition than I was as a high school athlete. My relationships are stronger and I better understand the importance of Community. I don’t know about you, but I can almost taste it – the weekend is almost here. Casual office talk on Friday tends to lend itself to questions such as, “What are your plans this weekend?” Given the depth of that relationship, the answer is typically as simple as answering, “How’s the weather?” In response, we mention our need to run to the grocery store, how family will be in town to visit, or a desire to get up to the mountains for a few hours. With the same haste to rush from Monday morning to Friday evening, I believe we fail to slow down enough to savor every minute of our weekend. My dear friends Heather and Tom are partners in adventure: a couple who has learned the art of taking advantage of the weekend hours. Whether they are wandering a path through the Colorado woods, or carving lines in the snow, they find that they are able to truly re-create in our big backyard! Recreation is, at its core, renewing who we truly are through activities of rest and rejuvenation! We are uniquely created to be creative, to learn, to be active, and to enjoy Creation. For each person, this may look different. The renewal process for someone who finds peace in planning might look like an hour of time carved out to analyze a personal budget. For someone who is itching to get to their next workout, a training run that leaves them pushing their limits leaves them feeling accomplished. Ask a book worm to spend an hour in their current novel and you will get very little push-back. The value that we place on such activities should be reflected in the free time we have. It has been said that you can tell a lot about a person by reviewing their bank statements and calendar. By stewarding our time, energy, and resources, we are better prepared to be the best version of ourselves. As we head into another weekend, I challenge you to identify 2-3 things that allow you to re-create. Carve out time to make sure you are able to do just that. As a result, you will return on Monday morning, ready to ROCK your work week! I admire my husband for a number of reasons. 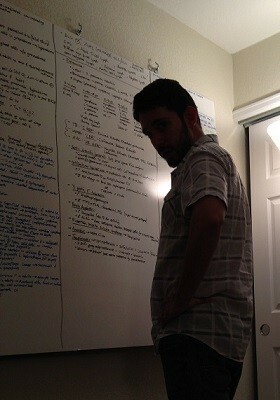 Over the last two years, I have watched him work endless hours as he pursues his MD. As he plows through digital flash cards, reviews medical journals, and adds bits of information to the giant white board in our office, I find myself settling into my spot in the room, to dive into the current book on my reading list. Not even two lines into an intriguing autobiography, and my attention is immediately diverted by the simple sound of a new text message. I pick up my phone, respond to the text, and return to my reading. Ten minutes later, I remember that I need to pull ground beef from the freezer for the next night’s stuffed peppers. Moving to the kitchen, I check “Thaw ground beef” from my mental to-do list. Picking up where I left off, I realize I didn’t fully read the entire last paragraph – all thanks to the meat distraction. A few hours later, the Hubs has covered a vast amount of complicated information and I am only a few more pages into a book that I want to finish in the next couple days. Here stands Exhibit A as to how my handsome husband has learned to master the art of hard work, and I still have room to grow! 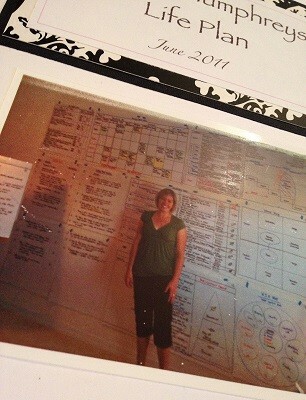 Ann Voskamp recently shared in her blog, that her family is implementing the Pomodoro Technique. Intrigued by the notion, I watched the brief informational video on the official site. 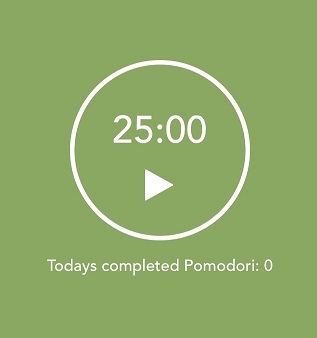 In a nutshell, each Pomodoro serves as 25 minutes of undivided attention and effort devoted to the task at hand. With eleven days left in my twenties, there is no better time than today to try something new! For the next seven weekdays, Unwritten Adventure is going to get SAUCY!!! * I am committed to publishing something new, created in a 25-minute space that is free from distraction. *Pomodoro (adj): denoting a sauce made from tomatoes, typically served with pasta. 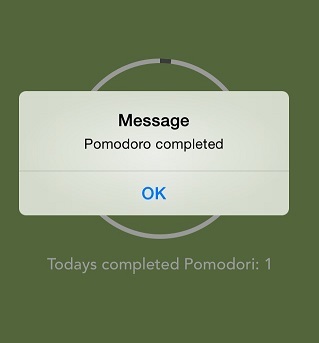 One Pomodoro down. Many, many more to come!